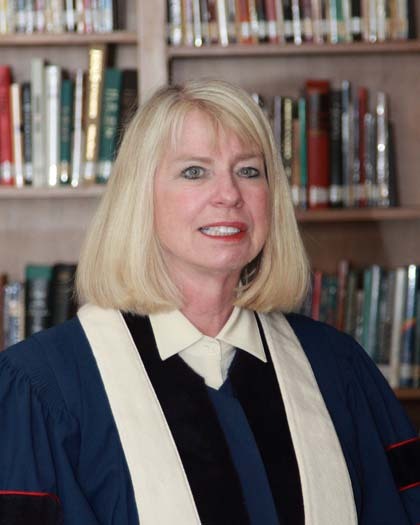 Dr. Kieffer became Westminster’s pastor and head of staff in October of 2013. She previously served two large Presbyterian congregations in the metro St. Louis area: First United Presbyterian in Belleville and Webster Groves Presbyterian in Webster Groves, Missouri. Blythe has a deep appreciation for the rich history of Westminster and this capital city. Dr. Kieffer grew up in the Chicago suburb of South Holland, Illinois. She was raised in the Reformed Church of America before joining Fourth Presbyterian Church in Chicago, which sponsored her ordination. She received a Bachelor of Arts degree from Hope College, a Master of Divinity degree from Fuller Theological Seminary, and a Doctor of Ministry degree with an emphasis in Pastoral Counseling from Eden Theological Seminary. Blythe is a member of the American Association of Pastoral Counselors and serves on the advisory board of Care and Counseling, Inc. in St. Louis. She was a director of the PCUSA Board of Pensions from 2006-2012. She received a 2011 clergy renewal grant from the Lily Foundation. The theme of the sabbatical Hospitality Rediscovered included (1) a Medical Mission in Colombia, South America (2) multiple cross cultural experiences of spirituality and worship in Geneva, Switzerland; Taize, France; and the Isle of Iona, Scotland and (3) an exploration of her family roots in Holland, Michigan, where ancestors from the Netherlands migrated. Blythe currently serves on the Contact Ministries Board of Directors, representing WPC who was among the founding congregations of this Springfield outreach. Blythe is married to Dr. Peter S. Kieffer, an Assistant Professor of Clinical Pediatrics at SIU School of Medicine who works in St. John's Emergency Department and Nursery. Their son, Paul, is a second year law student serving on the Law Review at Tulane University in New Orleans.